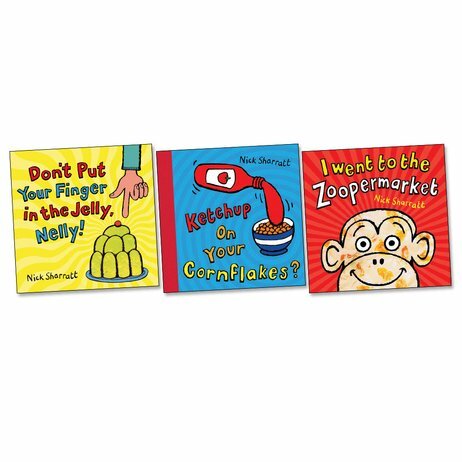 Cool flip-flaps, peepholes, cartoons and funnies… Nick Sharratt’s books are super fun to play with. A pick ‘n’ mix feast of wild surprises and crazy combinations. Prepare to laugh and learn. Nick Sharratt’s zany picture books are always a huge hit. Brought to life by distinctively bold artwork, they’re packed with lifting flaps, peepholes for curious fingers, and silly wordplay that inspires many giggles. Perfect for small children who are just starting to handle books, as well as older ones who like to play with words and meanings.